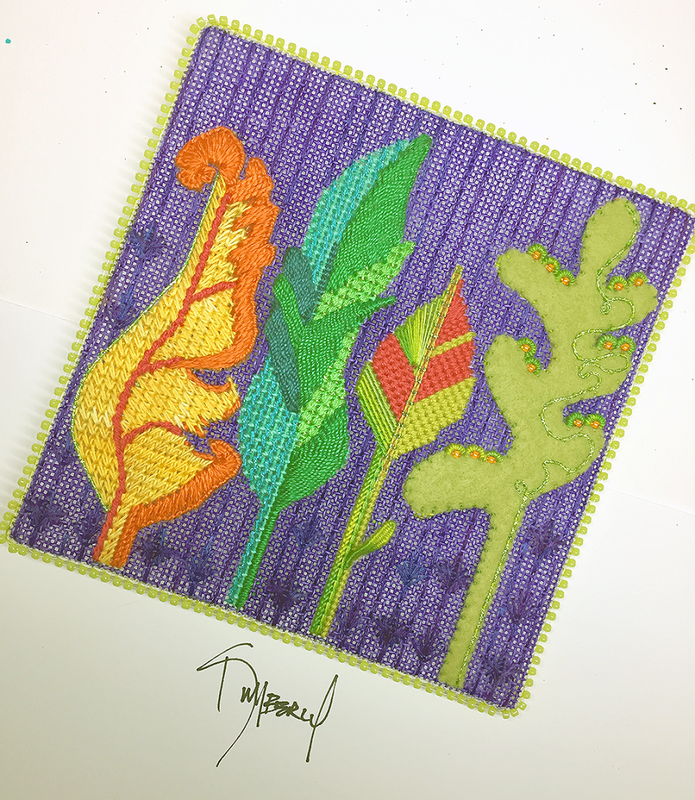 It’s time to showcase another of Kimberly’s series of nine squares. I love these little canvases. They are so beautiful to look at while being great learning tools. There are so many fun techniques packed into this small space. Learn a lot and finish a beautiful design. What’s not to love. Look at all these yummy threads! 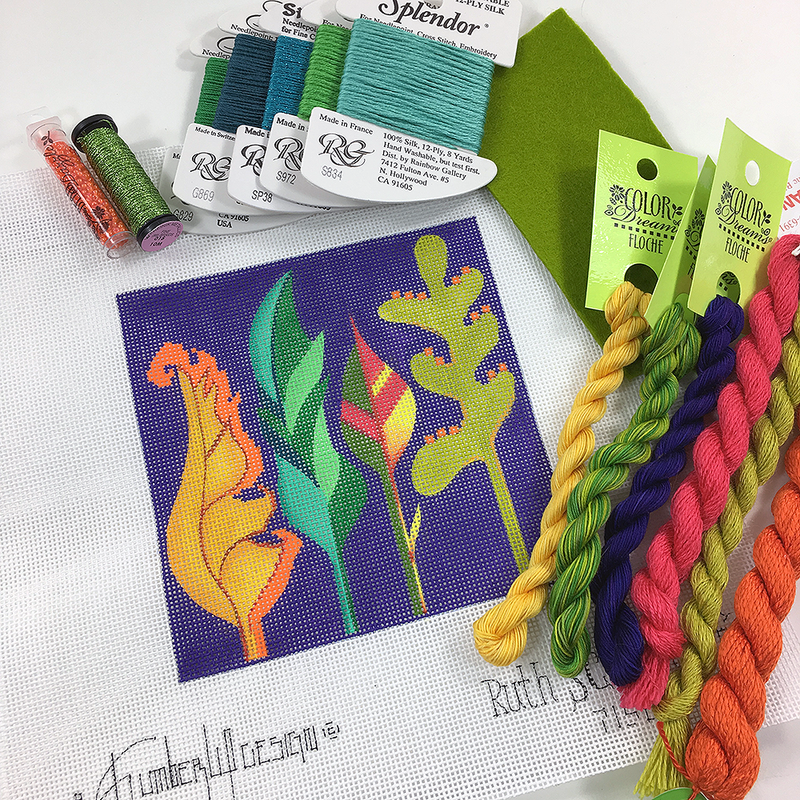 We have canvases in stock and are coordinating thread kits if you would like to stitch your very own petite leaves. 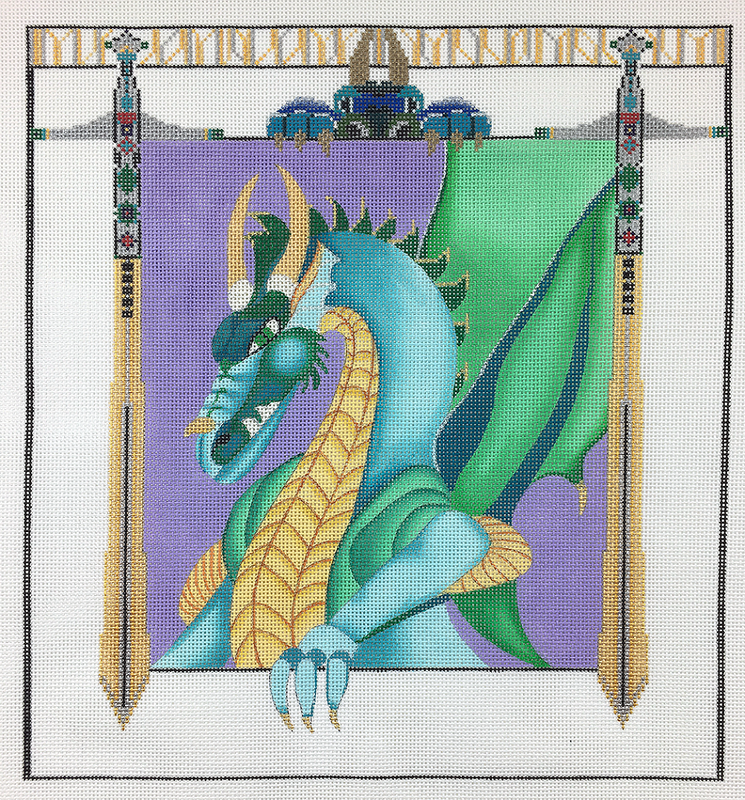 As long as we are talking about fun kimberly canvases, check out her newest, total fantasy! « Previous: How crazy cute are these?? ?